Hey guys I'm on the hunt for a few things to get this thing at least road worthy. 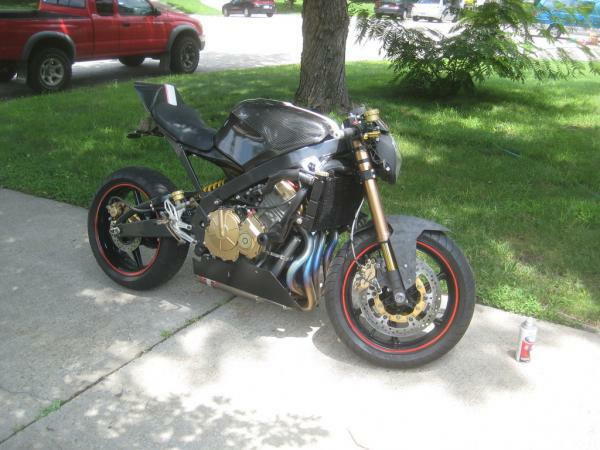 first off she is a 1992 Honda CBR 600 Im not sure of any sub models if any one here knows how I can find out that would be cool. I am going to be rethinking the rear end and just about every thing else. Let me know what you think she is a little beat up but I think she will clean up nicely. sweet man, i'm stoked to see it too. do work! what kind of welder are you getting? i wouldn't arc weld it. i think it'd get too hot and cause problems. maybe not though. i haven't messed with the subframe on an f3 though is it a solid, or a tube? i like o/a welding though... something calming about the gas. i haven't done a whole lot of welding with this yet though. i was starting to get pretty good and consistent, then i had the valve on my oxy blow a seal, we were trying to sell the house, move, etc - so that kinda stopped a few months ago. unfortunately, i've always had handy downs when it comes to welders, so i've just used what i've had the opportunity to. Last edited by Conrice; 06-25-2013 at 11:25 AM.